Can you melt an Emmy on the sidewalk in 100 degree heat? The forecast for today calls for outside temps to reach 100 degrees. Hot enough to sit still, fan myself and stay hydrated. Sounds like a plan. On with the randomness. 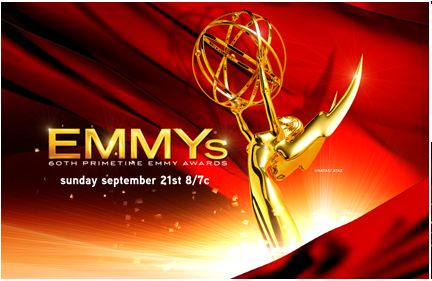 Nothing tells you you don’t watch much television like reading about the Emmy nominations and being totally lost. Yet, I’m not bothered enough to watch more primetime television, especially when I’m faced with the details of the Woods divorce settlement and a ridiculous amount of publicity concerning an NBA player who has yet to win a championship. Hmmm. I really hope that the fact that this solar plane made a 24 hour flight inspires and encourages other solar transportation innovation. It sure would help to move away from the greed, violence and environmental havoc big oil has brought us. I know that Warren Buffet says that the bad economic situation will be over any second now, but I was reading about the most affordable places to live well, you know, just in case 🙂 . They may need to do a bit more research over at Forbes, because I’ve been to some of those places and if the list is accurate, the rest of America is in a whole lot of trouble. I could be a goddess for a day.